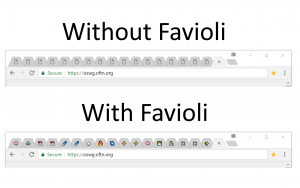 🤯 Favioli is a productivity extension that makes it easier to recognize tabs within Chrome. Favioli was originally inspired by two things. The first thing that spurred the idea was Eli Grey’s personal site and its use of Emoji Favicon Toolkit to make a randomized emoji favicon. The favicon of his site is a different emoji each time that persists within a session. It’s pretty creative and fun! This was the creative inspiration. There is an Emoji Favicon Toolkit usage example here on eligrey.com. The practical inspiration for Favioli came from my day job. We have a lot of internal tools and sites, and they tend to either not have favicons, or have the standard Sony logo. For me this was a bit of a pain, because I love to pin my tabs. I couldn’t tell these sites apart. I could use a Chrome extension that lets me set custom favicons, but then I’d have to go through and specify each one. If I were to use emojis, I wouldn’t have to deal with finding art for each individual site, and I could make something that could automatically make all of these pages recognizable at a glance. As we look through everything, feel free to follow along by looking at Favioli’s source code! All the Favioli code that is my own is licensed with the Unlicense, so feel free to go crazy with it. 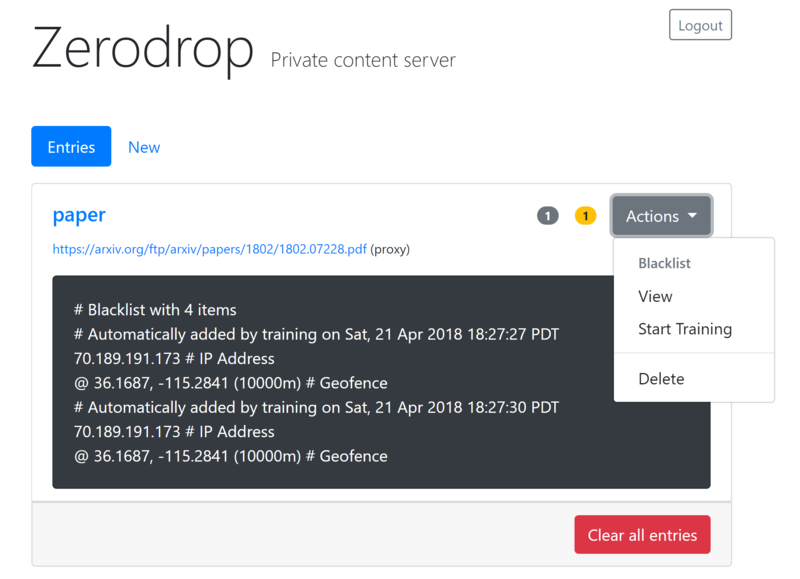 We are announcing Zerodrop, an open-source stealth URL toolkit optimized for bypassing censorship filters and dropping malware. 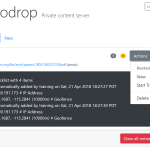 Zerodrop is written in Go and features a powerful web UI that supports geofencing, datacenter IP filtering, blacklist training, manual blacklisting/whitelisting, and advanced payload configuration! 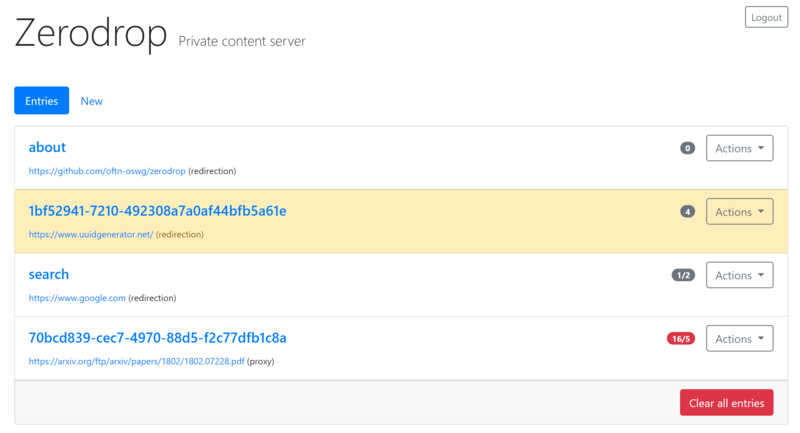 Zerodrop can help you elude the detection of the automatic URL scanners used on popular social media platforms. 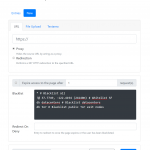 You can easily blacklist traffic from the datacenters and public Tor exit nodes commonly used by URL scanners. 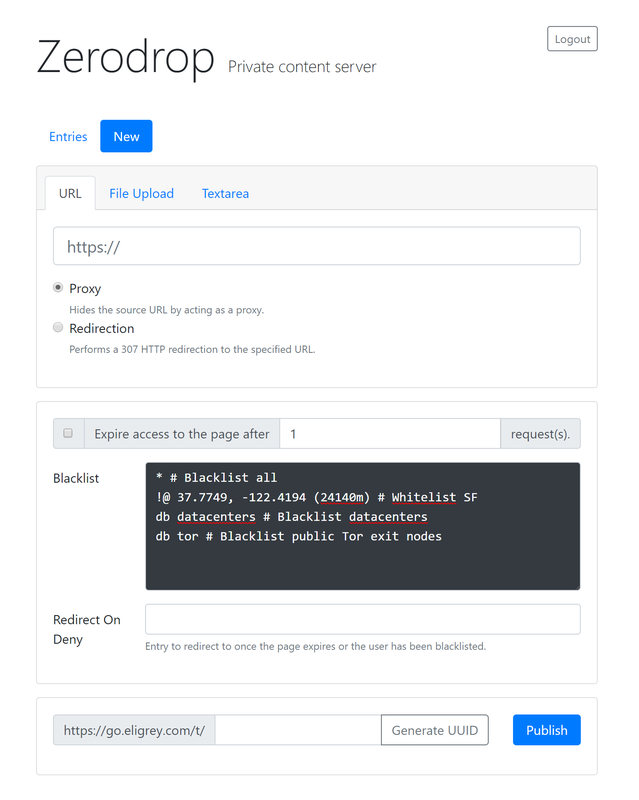 For scanners not included in our default blacklists, you can activate blacklist training mode to automatically log the IP addresses of subsequent requests to a blacklist. 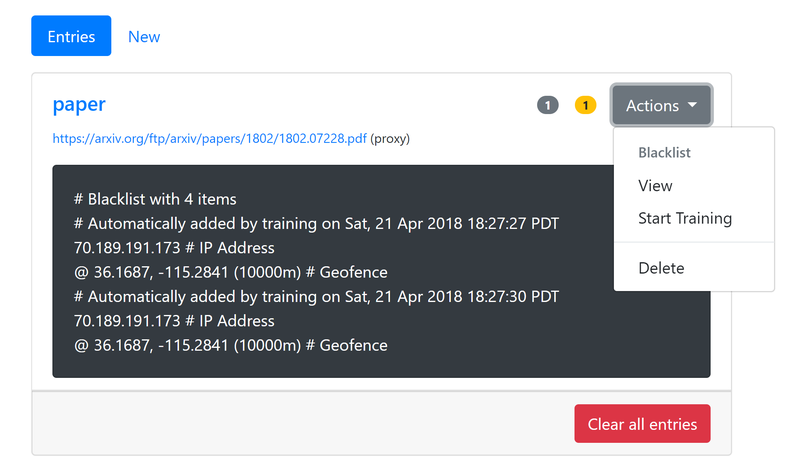 When used for anti-forensic malware distribution, Zerodrop is most effective paired with a server-side compromise of a popular trusted domain. This further complicates incident analysis and breach detection. A live demo is available at dangerous.link. Please keep your usage legal. Infrastructural self-destruct has been disabled for the demo. To prevent automated abuse, users may be required to complete CAPTCHA challenges in order to create new entries. Opera users were vulnerable to a publicly-disclosed UXSS exploit for most of 2010-2012. I privately disclosed a UXSS vulnerability (complete SOP bypass) to Opera Software in April 2010, and recently discovered that Opera suffered a regression of this issue and continued to be vulnerable for over two years after disclosure. The vulnerability was that data: URIs could attain same-origin privileges to non-opening origins across multiple redirects. I asked for a status update 50 days after disclosing the vulnerability, as another Opera beta release was about to be published. Opera responded by saying that they were pushing back the fix. I publicly disclosed the vulnerability with a PoC exploit on Twitter on June 15, 2010. This was slightly irresponsible of me (at least I included a kill switch), but please keep in mind that I was 16 at the time. The next week, Opera published new mainline releases (10.54 for Windows/Mac and 10.11 for Linux) and said that those releases should fix the vulnerability. I tested my PoC and it seemed to be fixed. Shortly after, this vulnerability regressed back into Opera without me noticing. I suspect that this was due to the rush to fix their mainline branch, and lack of coordination between their security and release teams. The regression was caught two years later by M_script on the RDot Forums, and documented in English by Detectify Labs. Opera Software’s management should not have allowed this major flaw to regress for so long. Version 2.0 of Rainpaper is now available. In order to change the refresh interval to cycle through your own images, long press on the “My images” image source and tap “Settings”. There will be another update (2.1) with support for looping GIF/video wallpapers and additional memory and performance improvements. I will also be launching a pair of Android and Windows apps later this year named Soundmesh. It enables wireless synchronization of multiple devices’ audio outputs and inputs with low latency, high-quality audio. You can use Soundmesh to listen to your PC audio output on multiple Android phones and PCs, forward your Android microphone to your PC, and listen to your Android phone’s audio output on your PC. Some time between Aug 27, 2012 and May 3, 2014, the Macmillan Publishers subsidiary Bedford/St. Martin’s suffered a data breach that leaked the unique email address that I provided to them. I have previously informed them of the breach and it appears that they do not care to investigate. I don’t appreciate large companies getting away with not disclosing or investigating data breaches, so I’m disclosing it for them. I just released an Android live wallpaper called Rainpaper on Google Play. Check it out! Rainpaper features simulated rain, popular images from reddit, and synchronization with your local weather. Also stay tuned for a new open source project that I’ve been working on called subscribe.js. 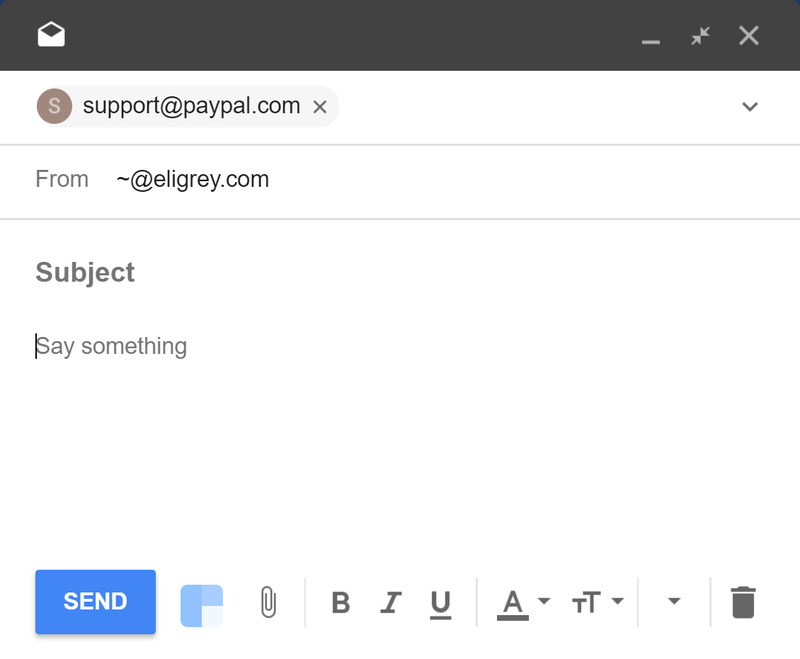 Soon you will be able to easily retrofit push-like notifications onto any website that has a syndication feed. subscribe.js will be powered by Service Workers and run locally in your browser. I have standardized navigator.cores as navigator.hardwareConcurrency, and it is now supported natively in Chrome, Safari, Firefox, and Opera. Our polyfill has renamed the APIs accordingly. Since the initial blog post, Core Estimator has been updated to estimate much faster and now has instant estimation in Chrome through PNaCl. I immediately envisioned a timing attack that could attempt to estimate a user’s CPU cores to provide the optimal number of workers to spawn in parallel. It would scale from one to thousands of cores. With the help of Devin Samarin, Jon-Carlos Rivera, and Devyn Cairns, we created the open source library, Core Estimator. It implements a navigator.cores value that will only be computed once it is accessed. Hopefully in the future, this will be added to the HTML5 specification. Try out Core Estimator with the live demo on our website. The estimator works by performing a statistical test on running different numbers of simultaneous web workers. It measures the time it takes to run a single worker and compares this to the time it takes to run different numbers of workers simultaneously. As soon as this measurement starts to increase excessively, it has found the maximum number of web workers which can be run in parallel without degrading performance. In the early stages of testing whether this would work, we did a few experiments on various desktops to visualize the data being produced. The graphs being produced clearly showed that it was feasible on the average machine. Pictured are the results of running an early version of Core Estimator on Google Chrome 26 on an Intel Core i5-3570K 3.4GHz Quad-Core Processor with 1,000 time samples taken for each core test. We used 1,000 samples just to really be able to see the spread of data but it took over 15 minutes to collect this data. For Core Estimator, 5 samples seem to be sufficient. The astute observer will note that it doesn’t test each number of simultaneous workers by simply counting up. Instead, Core Estimator performs a binary search. This way the running time is logarithmic in the number of cores—O(log n) instead of O(n). At most, 2 * floor(log2(n)) + 1 tests will be done to find the number of cores. Early Core Estimator has been tested to support all current release versions of IE, Firefox, Chrome, and Safari on ARM and x86 (as of May 2013). The accuracy of Core Estimator on systems with Intel hyper-threading and Turbo Boost technology is somewhat lesser as the time to complete a workload is less predictable. In any case it will try to tend towards estimating a larger number of cores than actually available to provide a somewhat reasonable number.